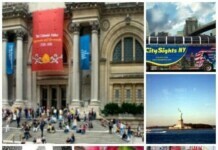 Check out more New York City May 2012 Events, including The Atlantic Cup Grand Prix Sailing Race NYC, Represent Brooklyn Art Exhibition, 2nd Annual Lexington Craft Fair NY, New York’s Mother’s Day Cruises and more. 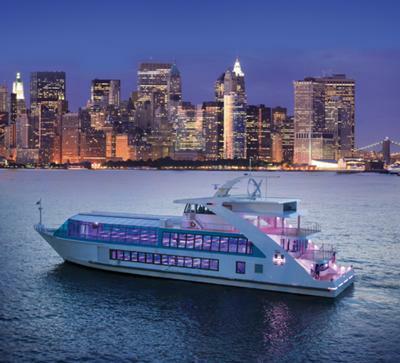 This Mother’s Day, Hornblower Cruises & Events’ chic new vessel, the Hornblower Hybrid, will set sail for a two-hour brunch cruise on Sunday, May 13, 2012 at noon and a three-hour dinner cruise at 7 p.m., both featuring live entertainment. Boarding begins for the brunch cruise at 11:30 a.m. and 6 p.m. for the dinner cruise, departing from Pier 40 at the Westside Highway and Houston St.
Brunch cruise tickets are $57.50 per adult and $40 per child, and $99 per adult and $70 per child for the dinner cruise, not including taxes and fees. 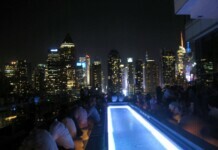 Reservations are available at http://www.hornblower.com or by calling 1-888-467-6256. Perugina, known worldwide for its iconic Baci line and its commitment to the art of creating only the highest quality confections, presents its world-famous chocolate school in New York City. Perugina invites you to celebrate Mother’s Day weekend with a special chocolate class where you will create your very own hand-crafted Baci, and enjoy delicious Italian style deserts. The Atlantic Cup presented by 11th Hour Racing is the only dedicated Class40 sailing race in the United States. The 2012 race kicks off in Charleston, South Carolina May 11th. From Charleston competitors will race double-handed to New York City. There will be approximately a 4-5 day stop-over in New York before the race restarts May 19th and competitors sprint to Newport, Rhode Island. Once in Newport, skippers will race an inshore grand prix May 26th & 27th with a crew of six. 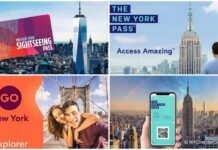 Teams will arrive into New York between May 14th & 15th. Boats will be available for viewing between 9am and 5pm at North Cove Marina from Tuesday the 15th thru Thursday the 17th. On Friday May 18th the fleet will be in the marina from 9am to 12pm and from 4pm on. 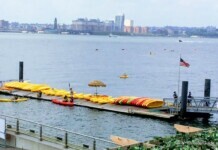 To watch the race restart, come down to Battery Park City between 9:30am and 11am Saturday, May 19th. The gun will go off just off the South West corner of North Cove Marina and you’ll easily be able to view the fleet as they race south. The Rising Arts Gallery is pleased to announce the 2012 “Represent Brooklyn Art Exhibition, scheduled for April 28th to May 19th 2012. The exhibition features selected paintings, photography, sculptures and mixed media art by artists who work and live in and whose artwork is inspired by Brooklyn. Jurors included Maribeth Flynn, Wendy Jones, and Ellie Balk. “Represent Brooklyn” is an exhibition designed to bring together artists, art collectors, art organizations and community members who live and work in Brooklyn. The featured paintings, sculptures, photographs, prints, and mixed media artwork provide a glimpse of the diversity of creative style and visual presentation found in Brooklyn. Join us for the 2012 Lexington Craft Fair, an early summer sales event! Start the summer right with original, hand-crafted items from local artisans and savor gourmet bites from some of NYC’s best food vendors. Lexington’s own Hearing Screening Van will be on hand to provide free hearing screenings to Craft Fair attendees. Proceeds will benefit the Lexington School and Center for the Deaf. The Lexington Craft Fair is a community event that strives to be as accessible as possible for everyone. ASL interpreters will be on hand to assist with communication. Please join us for a day or fun, shop locally-made gifts, and help support our programs for deaf and hard-of-hearing individuals in NYC. 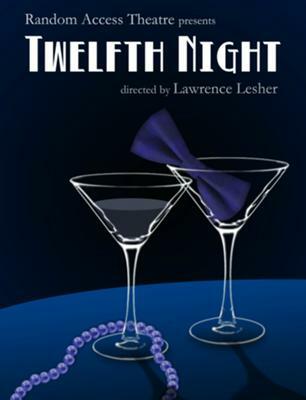 Random Access Theatre Presents Jazz-Age Twelfth Night!!! Random Access Theatre Company continues their ambitious 2012 season with Twelfth Night after a successful winter run of Patrick Hamilton’s Rope. Now in its second season, Random Access Theatre Company collaborates with theatre artists to develop culturally relevant work at the highest standards of artistic excellence. Featuring: Jessica Ko, Javan Nelson, Kelly Rogers, Chris Kateff, Sean MacBride Murray, Jonathan Craig, Courtney Cook, and Matt Harris. Restoration Hardware showcases two, dramatic 12ft x 24ft graffiti art installations at The Gallery at Flatiron in New York City and The Gallery on Beverly Boulevard in West Hollywood by artists CMENTONE (Matt Boal) and GE-OLOGY. Specially commissioned by Restoration Hardware’s Chairman and co-CEO Gary Friedman, for their first-ever project collaboration, the artists play with a fresh combination of script styles, mixed materials, and bold, Japanese Sumi-inked tags. The art installations bring to life personal quotes penned by Friedman reflecting the brand’s vision and beliefs. The event will be taking place daily through May 2012. Please visit www.restorationhardware.com for hours. Both at the Restoration Hardware locations at The Gallery at Flatiron, 935 Broadway, New York, NY and The Gallery on Beverly Blvd, 8772 Beverly Blvd, West Hollywood, CA. Saturday – May 5, 2012. Carrier Pigeon: Illustrated Fiction and Fine Art, Coney Island USA, Cannonball Press, and Drive By Press are presenting a day-long art fair: PRINT’S ALIVE! For one day only, New York City’s coolest independent art presses and publications will be together at the Coney Island Sideshow Museum 1208 Surf Avenue, Coney Island, NY. FREE – from 12pm–7pm. Inexpensively priced fine art prints, books, hand printed original art T-shirts and related artwork will be for sale Exhibitors will include Carrier Pigeon Magazine, Cannonball Press, Drive By Press, WolfBat Studio Pronto Comics, Bill Fick, Justseeds, AND MUCH MORE! For one day only, New York City’s coolest independent art presses and publications will be together at the Coney Island Sideshow Museum 1208 Surf Avenue, Coney Island, NY.FREE – from 12pm–7pm. Inexpensively priced fine art prints, books, hand printed original art T-shirts and related artwork will be for sale Exhibitors will include Carrier Pigeon Magazine, Cannonball Press, Drive By Press, WolfBat Studio Pronto Comics, Bill Fick, Justseeds, AND MUCH MORE! “Print’s Alive: A Living History of Coney Island” concluding the day’s affairs begins at 9pm and will feature side show stunts, burlesque beauties and art performances. Scheduled performers include Sword Swallower – Kryssy Kocktail, Resident Fire Eater – Insectavora, Snake Charmer – Serpentina, The First Real Man – Adam, The Sultry Siren of Burlesque – Miss Harvest Moon, and Legs Malone: The Girl With The Thirty-Four and a Half Inch Inseam. Our event is going to be a lot of fun! Join us on May 19 and 20 as the Scarsdale Chamber of Commerce hosts the return of the 3rd Annual Westchester Festival of the Arts. Residents and visitors to The Village will again have the unique opportunity to enjoy and purchase original, hand-made artwork created by top national and international artisans. For sale will be extraordinary original art created by painters, sculptors, photographers, jewelers, digital artists, glass, fiber and ceramic artists along with creations in mixed-media, metal, and wood. Find that perfect piece to enrich your home, your workplace – your life! Treat yourself to a stroll through The Village enjoying the freshness of spring and the elegant Tudor-style architecture while having your breath taken away by the unparalleled beauty of exquisite hand-crafted artwork. Artists are available throughout the event providing the unique opportunity to meet and interact with the creators of each piece. Learn how each artisan is inspired and your specific piece created. Many of these award-winning and acclaimed artists are represented in major museums and prestigious private collections throughout the world. The art festival opens Saturday May 19 with hours from 10 a.m. to 6 p.m. and continues Sunday May 20 from 11 a.m. to 5 p.m. Admission is free. The show is located on Chase Rd. Abundant free garage parking is found surrounding the Festival and the show site is conveniently located a short walk from the Scarsdale Metro North Station. InterHarmony International Music Festival presents the first Sulzbach-Rosenberg Showcase in New York at the German House on May 3 at 6:00 pm, featuring young esteemed soloists who performed in Germany. These performers bring to the stage unique, virtuosic works by Martinu, Bazzini, Tosti, Goens, Tchaikovsky, a song by German contemporary icon, Wolfgang Rihm and a cello quartet by Gershwin transcribed by Cellist Werner Thomas-Mifune for which Maestro Misha Quint will join the performance. InterHarmony International Music Festival hosts one session in Sulzbach-Rosenberg, Germany and two sessions in Arcidosso, Tuscany, Italy this year. InterHarmony International Music Festival is in its 8th year in Sulzbach-Rosenberg, Germany, where it has become a part of the town’s robust culture. Each year residents give the festival a warm welcome that is apparent in its sold-out concerts and a welcome ceremony presented by the town. The festival combines performance, master classes, and coachings with elements of the Russian school that inspires audiences and develops young artists. A staple of the festival in Europe is a concert series featuring renowned performers and young artists in solo and chamber music, culminating with a final orchestra concert. Music Director and internationally-renowned cellist Misha Quint modeled InterHarmony International Music Festival after his festival in Soesterberg, The Netherlands. Previous locals included Hinterzarten, Germany, San Francisco, California, and The Berkshires, Massachusetts. May 3 Soloists include: violinists Kenneth and Noelle Midori Naito, recent performers with the Kostrama Philharmonic Orchestra in Russia and at Carnegie Hall, and Annika Jenkins, performer with nearly 20 orchestras and National Public Radio’s, “From the Top”; cellists Caitlin McConnell, 2010 winner of the National Federation of Music Clubs Collegiate Competition, and Lawrence Foster Violoncello Award, Chris Beroes-Hagis, winner of Judges Merit Award, Meryl Vourch, winner of the American Protégé Music Competition; and tenor Ezra Bershatsky, winner of the “Best of New York” award in the NFAa competition in 2008. A plethora of musical styles encompass this concert, from the lyrical melodies of the song by Italian Composer Tosti to the intensity of the Tchaikovsky Violin Concerto and Slovakian folk songs written into Martinu’s “Variations on a Slovakian Theme for Cello and Piano”. Like Franz Schubert before him, German composer Wolfgang Rihm set music to the poetry of Geothe. However he takes a much different approach. “I don’t write pure music… I am in my person exposed to many uncertainties, arising both within and outside myself, and I yield to these uncertainties”. The concert will conclude with the unconventional ensemble of four cellos in a quartet by George Gershwin. Pianist Eduard Laurel will play with instrumentalists. Dadi Janki, Head of the Brahma Kumaris World Spiritual University, is scheduled to appear in free public program, “All of a Sudden,” on ways to use spiritual power in times of uncertainty. Dadi Janki, the ninety-six year old head of the Brahma Kumaris World Spiritual University and one of the world’s most prominent women spiritual leaders, will make her only US East Coast appearance in New York City on Sunday May 6th at The Town Hall. The program, entitled “All of a Sudden,” will teach spiritual methods to sustain ourselves in an age where uncertainty is on the rise and nothing can be taken for granted. With over seventy years of spiritual study and Raj yoga meditation practice, Dadi Janki’s wisdom has helped thousands to cope with personal trauma and uncertainty and to cultivate inner stability and resilience. “Silence is the language of the soul,” says Dadi Janki. “With silence we awaken our divine insight. When we are stable in our awareness of ourselves as eternal beings of light, we can receive accurate thoughts or signals about what we must do.” Dadi Janki’s presence has inspired millions and her knowledge of why the world is experiencing upheaval at this time will illuminate and inspire the audience to take positive action for themselves. She will be joined on stage by Clarke Peters, Tony nominated writer and HBO actor, and Sister Mohini Panjabi, the administrative head of the Brahma Kumaris in the Western Hemisphere. Tickets to see Dadi Janki speak are free and a limited number are still available at www.bknewyorkevents.org. Individuals must register and bring their printed ticket with them to be admitted to the lecture. Individuals from all walks of life are welcomed.